Get cash for your car in Oregon today! Sell your vehicle today and get immediate payment when we pick up your car. We purchase cars in every city in Oregon, sell your car in Oregon now. Easy – Only takes 3 easy steps to get cash for cars in Oregon. Price – Due to our extensive network of buyers/auctions throughout the United States, National Cash 4 Cars is able to offer you the highest price for your car in Oregon. Free Pick-up – Our drivers are able to come to all cities in Oregon to pick up your vehicle, and give you your money on the spot. Convenient – We serve every single city and market in Oregon. Cash for Cars in Oregon today! Courteous – National Cash 4 Cars works with its customers in Oregon to ensure the smoothest selling experience, and strongly values the lifetime partnership with our Oregon customers. Stress Free – National Cash 4 Cars buys any make or model, running or not. We buy used vehicles in all types of conditions. Get top dollar in Oregon today! Expertise – Over 50 years of automotive experience, we are standing by to purchase your car in Oregon today! Many people do not realize that there are several ways to sell a junk car. Towing the car to a junkyard and selling it there is one of the most common ways to sell a car, but it is also not very lucrative. One has to pay to have the vehicle towed and junkyards usually do not offer a good price for the car or van that one is selling. Having the car taken apart and selling the parts can be lucrative, but it is very time consuming. One will not only need to pay to have the car disassembled but also look for interested car parts buyers. Furthermore, the metal "shell" of the vehicle cannot be sold to used car parts shops and will still need to be towed to the junkyard. 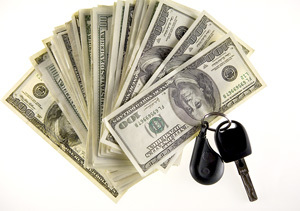 The simplest and easiest way to sell a junk car is to contact a cash for cars Oregon company. Such a company will buy a junk vehicle no matter what condition the vehicle is in. Furthermore, many of these companies are even willing to buy a vehicle without a title. Cash for Cars companies not only offer a better price than the local junkyard but will also come to the seller's home and remove the vehicle at company expense. Before choosing a cash for cars Oregon company, it is wise to do a bit of research. A person who does not have a car title will naturally need to find a company that is willing to buy the car without this important paper. Comparing price offers from a number of companies is always a good idea; however, one should also make sure the company tows the vehicle for free and does not have hidden fees. One particularly good cash for cars company is National Cash 4 Cars. As the name implies, this company operates in all 50 states of the US. It offers a good price for any vehicle it buys and completes all sales either the very same day or the next day. In order to make the sale, a car owner will need to get on the cash for cars company website and fill out a form providing information on the vehicle for sale. Providing additional, optional information can also be a good idea as it will help the company to see what the vehicle is like and provide an accurate price estimate for it. If the offer made by the company is agreeable to the seller, then the company will send a tow truck driver to pay for the vehicle and remove it from the seller's premises. Selling an old junk vehicle to a cash for cars company can help one to make a bit of extra money off an otherwise useless vehicle. Besides taking the time to find a reputable company, all a person has to do is fill out a form and then sit back and wait for a price offer. While there is more than one way to sell a junk vehicle, selling it to a cash for cars company such as National Cash 4 Cars is the simplest, easiest and in some cases the most lucrative way to dispose of an unwanted vehicle.